Johann Georg (George) Bauer was born in Norka, Russia on May 4, 1870 the son of Heinrich Peter Bauer (born 1833) and Elisabeth Yost (born 1832). George immigrated to the United States in 1891 and soon arrived in Portland. George married Christina Jost (Yost) in 1892. Christina was born in Norka on November 28, 1869, the daughter of Conrad Yost (1839-1904) and Anna Maria Krieger (1841-1926). 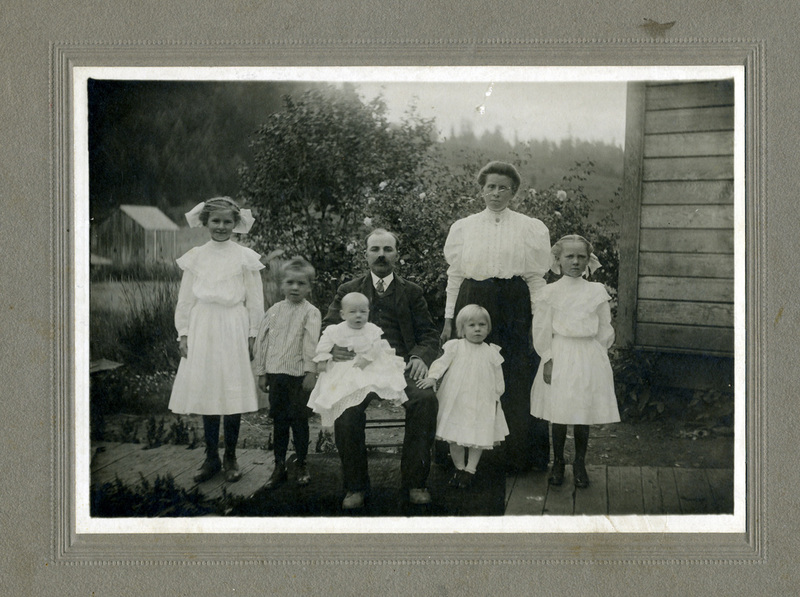 The Yost family arrived in the United States in 1890. By 1891, they were living in Albina at the same address as George's brother, John Bauer and Peter Weigandt. ​In 1900, the Bauer's were living at 334 Beech Street with their three children: Elizabeth (Lizzie), Mary and Peter (born March 27, 1899). George was working as a teamster. George's brother and sister-in-law, John and Kate Bauer, lived next door. A daughter, Edna was born about 1902 and a son George Jr., was born about 1904. Christina died on September 4, 1904 likely during or shortly after the birth of her son, George Jr. Christina was buried at the Lone Fir Pioneer Cemetery in Portland (Plot: Grave 3S Lot 91 Sec 39). George married Margaretha (Maggie) Krieger who was born November 21, 1887. Maggie was the daughter of Johannes Krieger (born 1841) and Magdalena Yost (born 1845). ​George and Maggie had a least three children: Marion, Reuben and John who are all listed in the 1910 census. The family was living at 761 Mallory at that time and George was a driver (teamster) for a lumber company. In 1915, the Portland City Directory lists George and Maggie living at 769 Rodney Avenue and he is working as a teamster. By 1920, the family had relocated to Yakima, Washington where George died in October 1924. 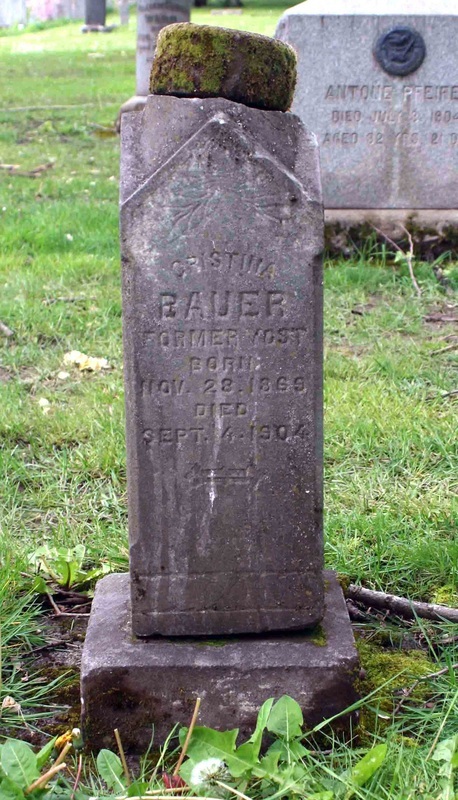 Grave marker for Christina Bauer (née Yost). Courtesy of Scott Bolliger.